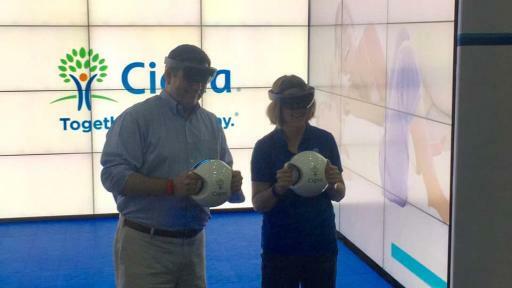 BLOOMFIELD, Conn. – February 28, 2017 – Global health service company Cigna (NYSE:CI) today became the first company to use Microsoft HoloLens technology for health screenings in the form of BioBall,* a new, fast-paced, fun interactive game that helps players learn their blood pressure and body mass index (BMI). “The evolution of personal health and technology is something that has tremendous impact on everyone. 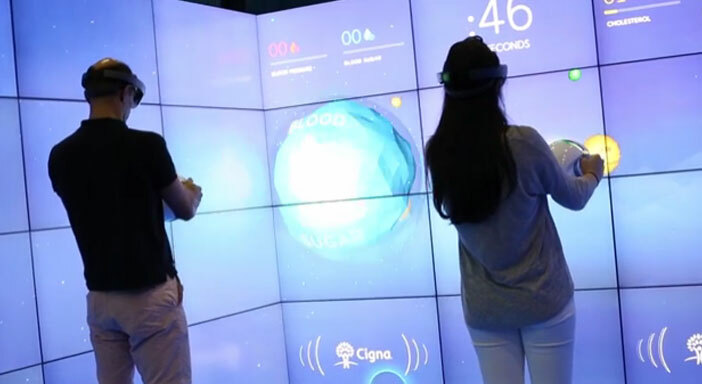 We’re the first to harness the new HoloLens technology for health screenings, and we believe BioBall can revolutionize how people view the process,” said Stephen Cassell, Cigna’s chief brand officer. 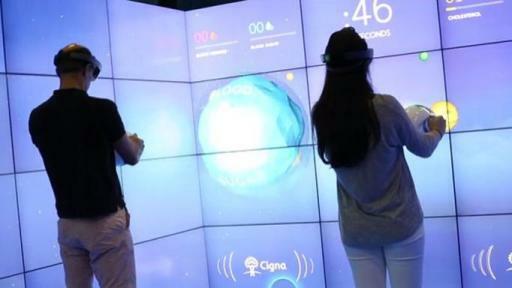 Cigna sees BioBall as an innovative way to encourage people to Go.Know.Take Control. of their health. “Research shows that four health numbers – blood pressure, BMI, blood sugar and cholesterol – are responsible for the majority of preventable chronic disease and health care costs. 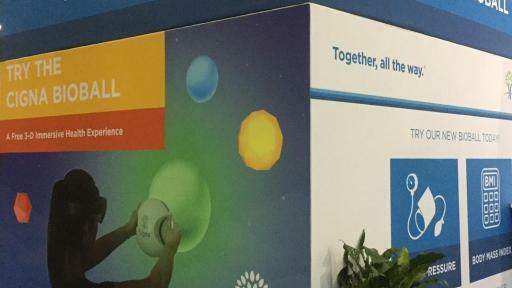 ** Knowing this, Cigna's goal is to help people learn their four health numbers, and we’re doing all we can to make this process easy, quick and painless,” Cassell explained. “We want people to know about their health risks, and we believe BioBall and its interactivity get people excited about learning their numbers,” Cassell said. 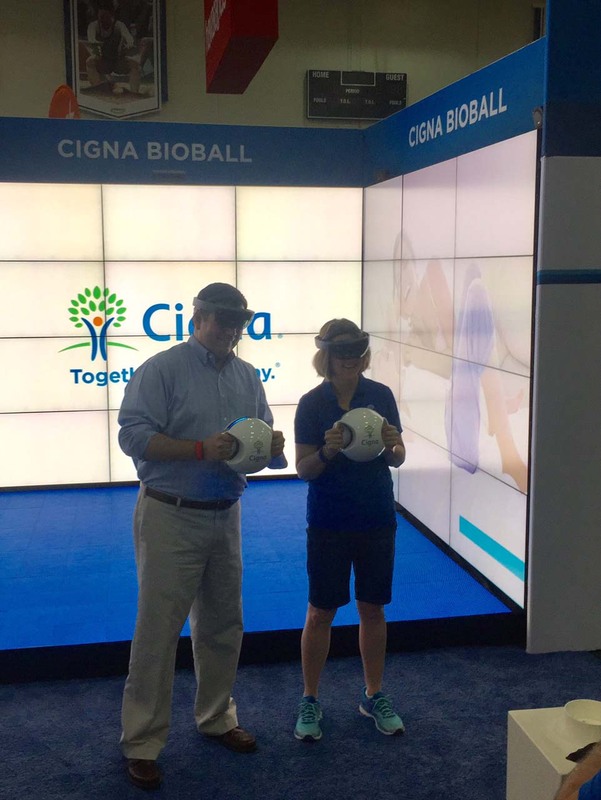 BioBall will be available at Cigna-sponsored public events throughout the country. 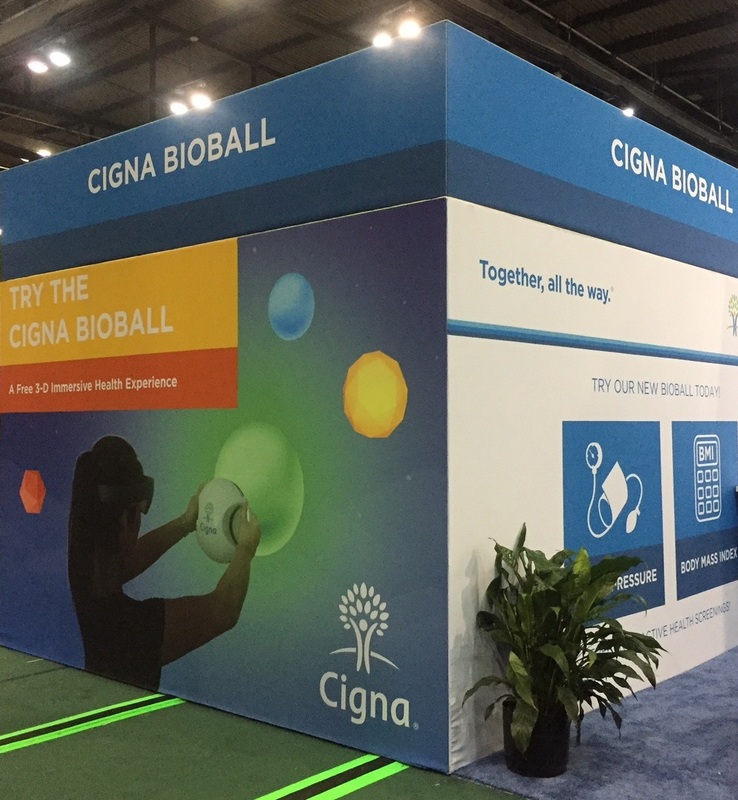 A portable, pop-up version of BioBall also is rolling out for use at Cigna’s client locations for those employers who request BioBall for their onsite clinics or other employee events. How it works: Participants receive assistance from a trained BioBall expert, starting with the registration process where their blood pressure is taken and players get tips on how to use the game. The players hold a light bowling-size ball in a one-minute race to capture all the images that flash on a screen before them. 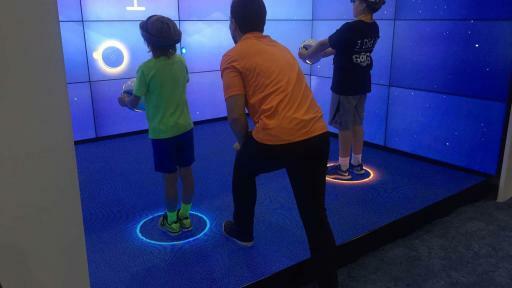 The BioBall senses a player’s pulse, which determines the ball’s movement, and uses responsive lighting to connect the game experience with the player’s heartbeat. Once players finish the game, they immediately receive their health numbers privately on their headsets. An email with health suggestions is sent immediately to the email address that players provide when they register. Microsoft HoloLens is the world’s first self-contained holographic computer. HoloLens runs Windows 10 and is completely untethered – meaning no wires, phones, or connection to a PC needed. HoloLens immerses the user into a mixed reality world, merging the physical and virtual worlds to produce new environments and visualizations where physical and holographic objects co-exist and interact in real time. *The term BioBall and trademark are being patented and registered to Cigna. 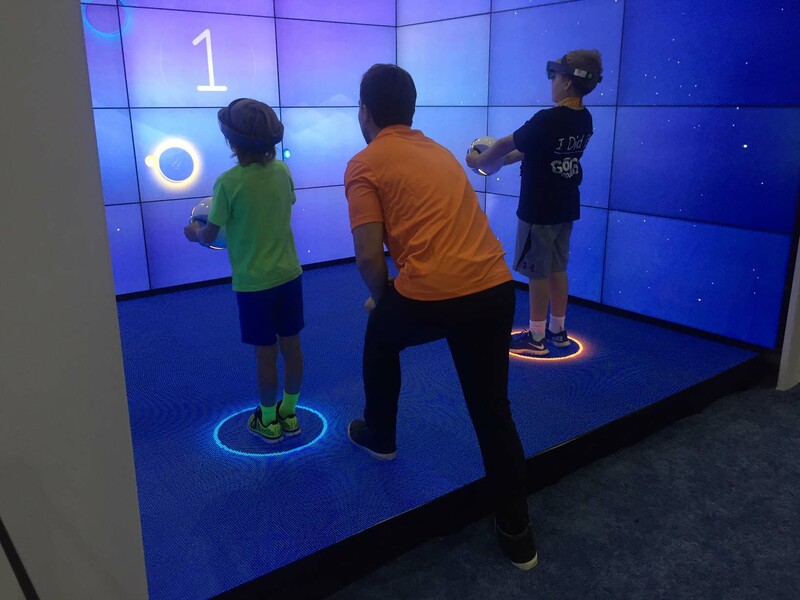 Cigna continuously tests and calibrates the technology through extended use and gameplay, and has health care professionals on site to ensure measurements are accurate.